Have you ever wondered where those gorgeous lilies come from, as you stand in the grocery line? Are they local? Although 80 percent of the cut flowers available for purchase are imported into Oregon, many do come from Oregon’s cut flower growers and are grown in the Willamette Valley. Oregon Flowers, Inc. is one of those companies. They grow lilies, tulips, daffodils, peonies, and many other plants that produce showy flowers, berries and rose hips in Aurora, Oregon. As you would guess, the lilies and tulips that you buy in December are grown in a greenhouse. At Oregon Flowers, Inc., the greenhouses are kept at 66° Fahrenheit. Warm water is piped through an irrigation system around the pots of lilies. Sensors attached to the irrigation pipes track humidity and temperature. 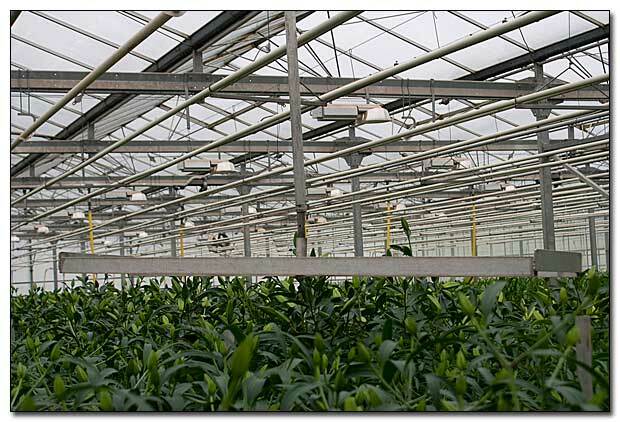 The system will turn the irrigation on or off, depending on conditions in the greenhouse. Lily bulbs can be stored in a cooler for up to a year. They will spend two to three weeks at 50° Fahrenheit, growing roots. 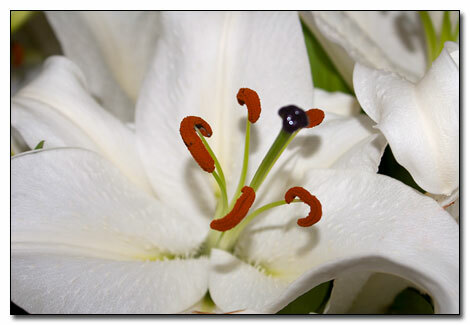 The lilies are grown in a soil-less mixture that includes perlite, bark and peat moss. Because they are growing flowers, Dutch-born Martin and Helene Meskers feel it is important for quality and consistency to buy new, vigorous bulbs from bulb growers, discarding the bulbs after the flowers have been cut. The soil mixture is then sterilized at 169° Fahrenheit for six hours, killing bacteria and other organisms, cooled and then put back into the hopper to be used again for the next batch of bulbs. Tulips need a different treatment. 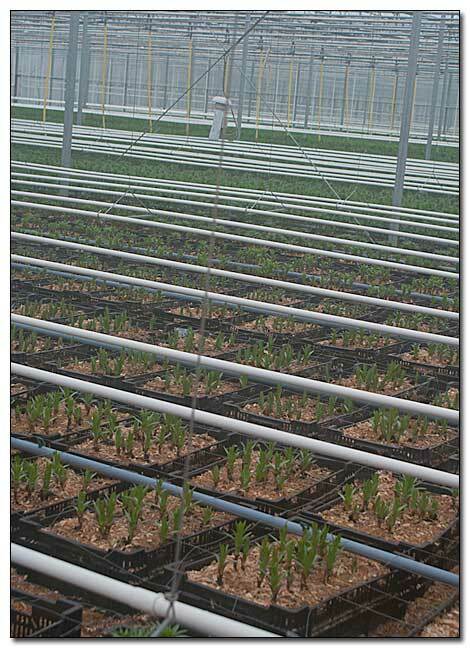 Ninety bulbs are planted in a tray filled with sand so that the tulip roots can grow down into the soil mixture. The bulbs are planted after the roots start to develop. After 15-16 weeks of cooling, the tulips are ready for harvesting, packaging and shipped around the world. Oregon Flowers, Inc. also has a field growing operation. Hardy perennials and shrubs in the ground require fewer nutrients and water, allowing Mother Nature to assist in caring for the plants. It’s also nice to provide customers with locally grown flowers, ornamental stems, berries and rose hips as they come into season. Peonies, bearded iris and viburnum flowers are available in May. 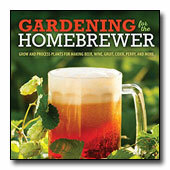 Then in July through October hops, sedum and hydrangeas come to market. Finally, snowberries, rose hips and holly berries become available for the winter months. Next time you are at the grocery store, pick up a bunch of locally grown flowers and brighten your day!